THE Joint Admissions and Matriculation Board has scheduled this year’s Unified Tertiary Matriculation Examination for April 12 and May 17. 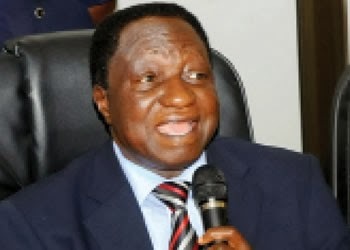 The Registrar of JAMB, Prof. Dibu Ojerinde, said on Thursday that paper-pencil test would hold on April 12 while computer-based test would hold on May 17,2014, across 2,000 centres. Ojerinde stated this in an interview with the News Agency of Nigeria in Bwari, Federal Capital Territory. According to him, the examination will be paper- pencil-based as well as computer-based. “We are ready for the examination even now; however we will give them time until April 12. “We are going to do the PPT on April 12 all over the country, but the CBT will start on May 17, and it will continue for 12 days. “In any case, we are prepared; we have 300 centres for CBT while we have 2000 centres for PPT. “This is the last time we are going to do PPT; it will be all CBT next year, we want education to move forward, one of the ways of moving it forward is to eradicate examination malpractices. Ojerinde enjoined candidates to study hard to be able to pass. 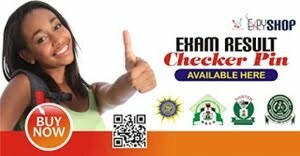 He, therefore, expressed the organisation’s resolve to eliminate examination malpractices. The registrar explained that the choice of the CBT was to curb exam malpractices, release results at the same time and encourage candidates to prepare adequately. “Our experience last year showed that the CBT candidates passed better than the PPT ones; there was no single examination malpractice, there was no missing result and answer script,” he said. The registrar said further that the reasons for limiting the choice of candidates to one university was the outcome of a meeting held sometime at the National Universities Commission. He commended the decision as it would help to tackle problems about cost and delay experienced by candidates seeking admission through post-JAMB tests. He said that candidates were limited to four institutions as against six to achieve the target goal. “We limited them to four institutions; one university, one College of education, one polytechnic and one Institute for entrepreneurship, because of the actions of our institutions. “They will call both first and second choice candidates for Post UTME, collect money from them and when the second choice candidate even scores higher than the first choice; they will prefer first choice candidates. “So, we are saying ‘take a university, let that university finish’. “When it finishes, we will send the rest of the material to the Polytechnic, instead of waiting for two Universities. “Let us make it one choice. It also will reduce cost of candidates going from one institution to another, doing post UTME. The registrar, however, warned that there would be cancellation of registration for anyone caught registering for both exams. He urged candidates wishing to change their choices of university, to do so on or before the close of the registration or stand the risk of paying the sum of N1,000 as fine. 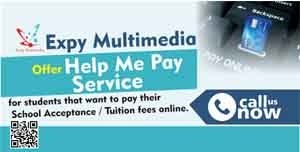 Ojerinde said that the sale of UTME form would end on March 14, adding that sites would close on March 25.